We test reported scam websites to find out if they are either genuine or not. New Scam websites to avoid. We received the number of clicks to qualify for the minimum payment required. However, this is what we actually received. We completed a survey, and when we entered our information for payment. Therefore, avoid this Internet website and inform your friends. Internet Scams by email to watch out for. Have you seen this before? The I will give you $1,000 video pitch. Hey I was genuinely shocked to hear about this financial expert paying people just to visit his site and see what he has to say, Not only was the video very informative but I also came away with a way of making up to 1000 bucks a day. Watch it for yourself here: That's gotta be the quickest $1,000 you ever made! See what you really get from this scam below. This is what you actually receive below. Has your account been credited $1,000? New Travel Scams to watch out for. Don't get caught out by travel scammers! 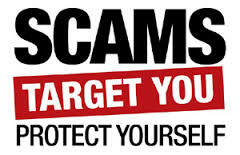 Criminals and opportunists are using our love of travel to part people from their hard-earned cash. We’ve researched some of the most popular travel scams to make sure you don’t get caught out. The reader is then asked to submit their dream destination which takes them to a website which could be used to steal their information. To avoid being scammed, ensure the domain name of the site is the same as the company name. If you notice anything unusual about the domain, it’s best to exercise caution. A host of copycat websites have sprung up offering to help you through the process of applying for travel related government services such as passports. They charge to provide information that is either free or available at a substantially lower cost. They also offer help when applying for the European Health Insurance Card (EHIC) for a fee, often up to £25. This card is free to apply for and entitles you to state-provided healthcare in other European countries for free or at a reduced cost. Always go to the .gov site. Fraudsters commonly hack into common hotel accommodation sites and clone, or redirect them to a fake site. Unsuspecting travellers could end up paying for accommodation that doesn’t exist. Before you book, check online to ensure the travel provider has a good online reputation. Trustpilot is a great place to hear from other users. Blurred logos or other abnormalities should raise alarm bells. Again, keep an eye on the domain to ensure you haven’t been redirected to another site. More email scams to avoid! My name Mr.Matt Johnson the Head of Accounting Audit and signal-Transfer unit n my department, I discovered a sum of $30.8 Million In an account that belongs To one of our foreign deceased customers Business-man A Jew from Mexico who was a victim of a helicopter crash Since 2009, resulting to his death and his family members. for us to Win this transaction, if you provide me the following information below if You?re interested. immediately I hear from you. We have moved your inheritance funds down to the United State yesterday to America First Credit Union. With this, you can easily receive the funds without any more hindrance or delays because as the government here is stopping this, not allowing it to go through because the money is huge amount of money $9,500.000.00 Nine Million Five Hundred Thousand US Dollars. So we decide to forward this down to United State - America First Credit Union for an easy payment to you. transaction code number we have given to them for you regarding the funds. So take note they will ask this code from you. The reason that they are asking for this information is try and steal your ID. To open a bank account using your information, and try and get loans in your name too. Therefore, when you receive emails from total strangers asking for your private details, just count it as a scam and either report it to your ISP or just mark as spam. With certain email providers you can totally block any future messages from the sender. (Do not trust anyone, unless you 100% know them. But even then never give out your private information to anyone via email. There are always signs too, the list is below. When they state "Dear Friend"